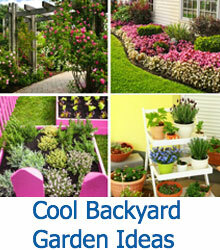 Trying to create an English garden in your backyard? Check out our guide for 10 plants that you will want to grow in the space. 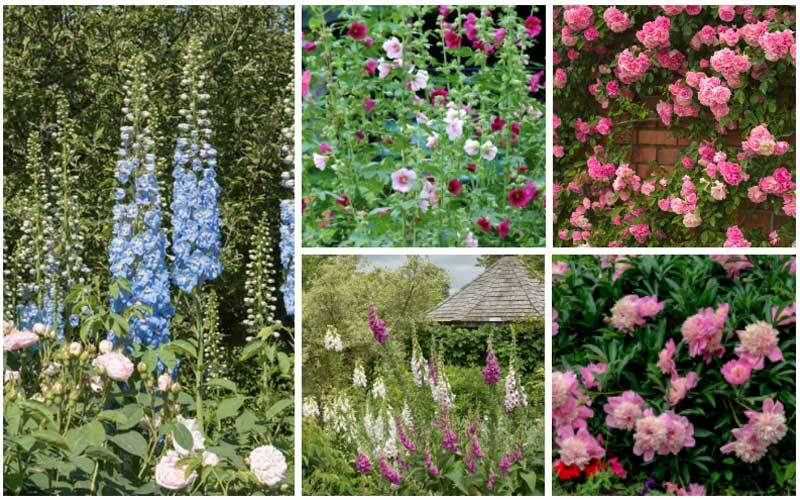 As a child, I always adored the English cottage gardens that I would see in movies and photos, and when I went to the English countryside, I decided that creating one of these gardens for my outdoor space was exactly what I wanted for my home, but where would I begin? This type of garden is often filled with ornamental plants, edible plants, and plants that attract bees, butterflies, and hummingbirds. They also have plants with long stems that can climb up arbors and extend past the boundaries of the garden. 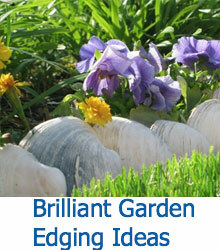 In this guide, we are going to look at 10 ideal plants that you can use to create a whimsical English garden. If you are looking for flowers with some height, delphinium is a plant that can grow to be up to six feet in height, depending on the variety that you plant. You may need to stalk the taller varieties so that they stay upright in the garden. The blooms come in shades of pink, purple, and blue, so they can add quite a bit of color to your outdoor space. 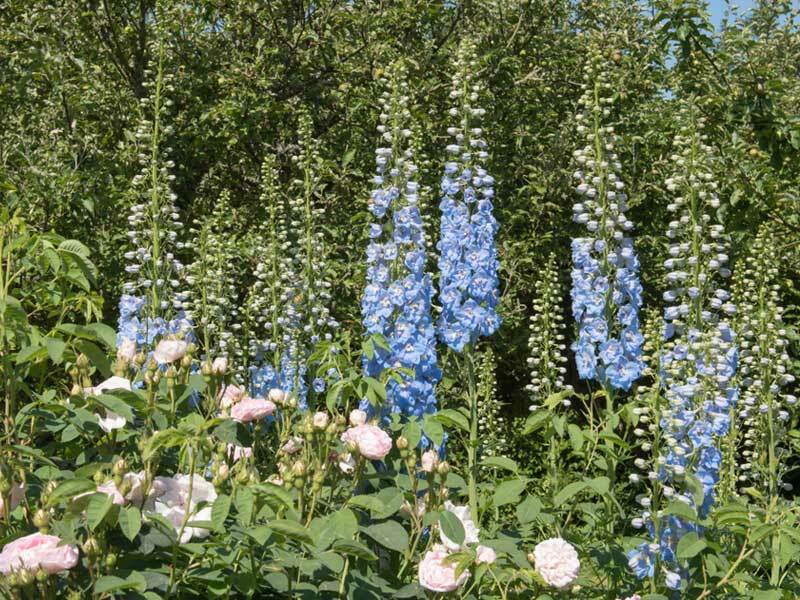 Delphiniums like full sun, but they can also do well in partial shade. They also grow best in well-drained soil in zones three through seven. 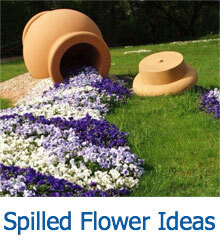 This is a beautiful flower that can be used to cover structures in your garden. Growing best in zones four through 10, this is a plant that you will need to train. With the right help, this plant can grow to a height of 20 feet. The pink blooms grow in clusters, which will attract butterflies to your garden. They grow best in well-drained soil with full to partial sun. 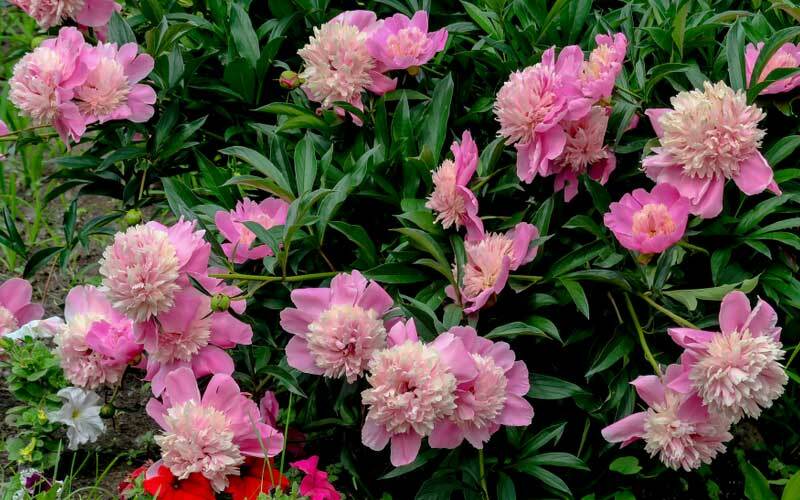 Peony is a flower that has very unique blooms that will add elegance and a lovely fragrance to your garden. The blooms are filled with bright pink petals that that are ideal for attracting pollinators to your outdoor space. They grow best in zones three through eight, especially if they grow in well-drained soil and full sun. Depending on the variety that you plant, this plant can grow to be five feet tall, which can add some nice height to your English garden. 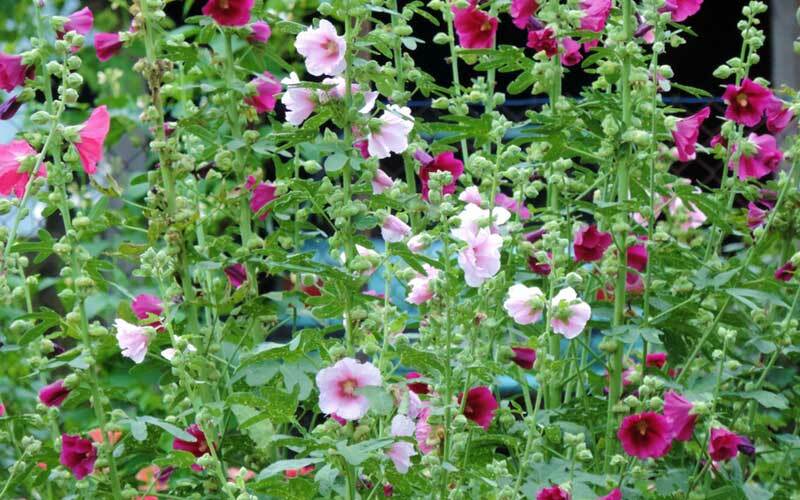 Hollyhocks are one of the tallest plants that you can grow in your garden. It is a perennial that reaches heights of up to eight feet. Smaller varieties will stand at about four feet in height, so you can easily vary the height throughout your garden. They grow best in zones three through nine in full sun. Hollyhocks also prefer to grow in moist, well-drained soil. The blooms range from light shades like yellow and pink to darker colors like red and purple; they are great for inviting pollinators into your garden. 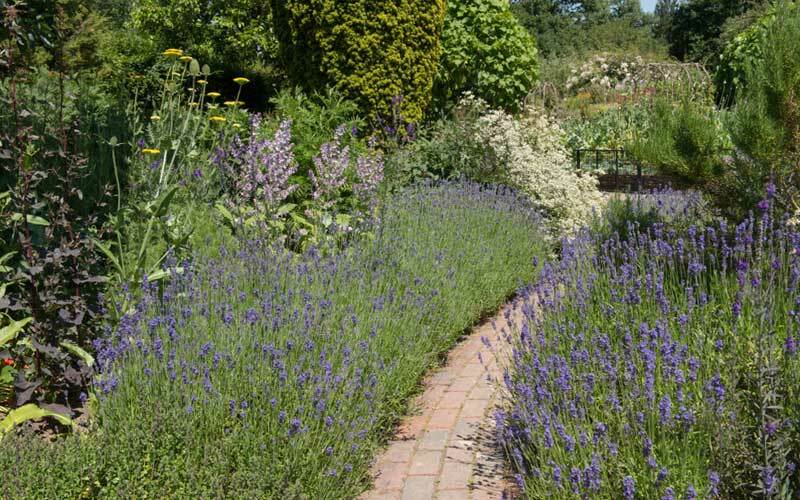 One of the best plants to grow in an English garden is lavender. It is a wonderful ornamental herb that will fill the spaces between your other plants. Lavender smells great, and you can take clippings from the plants to make lovely smelling potpourri for your home. This is a plant that grows best in zones five through eight. It prefers full sun and well-drained soil to thrive, and with proper care, it will grow to be up to two feet tall. 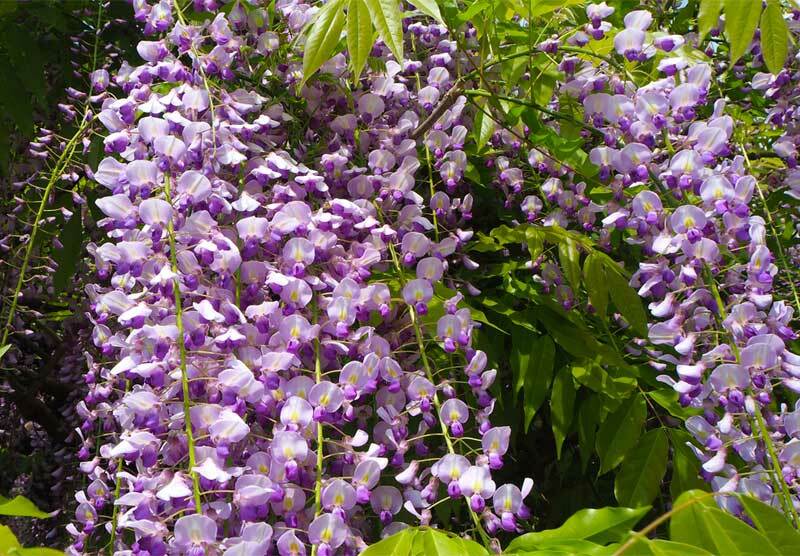 If you have a lot of trellises or vertical structures in your garden that you want to cover with flowers, wisteria is a great option to consider. The long vines that hold the blooms, which are often shades of pink, purple, and blue, cling to walls and other structures that you have in your garden. Growing best in zones five through seven, wisteria prefers well-drained soil that is slightly acidic and full sun. You may need to train this plant to make the vine go where you want it to go. Another beautiful flower that will peak through the foliage in your garden is foxglove. The bell-shaped flowers cluster together to create a lovely spot of color; the blooms of this plant can be pink, purple, or white. This plant grows best in zones three through eight in partial sun and moist, but well-drained soil. 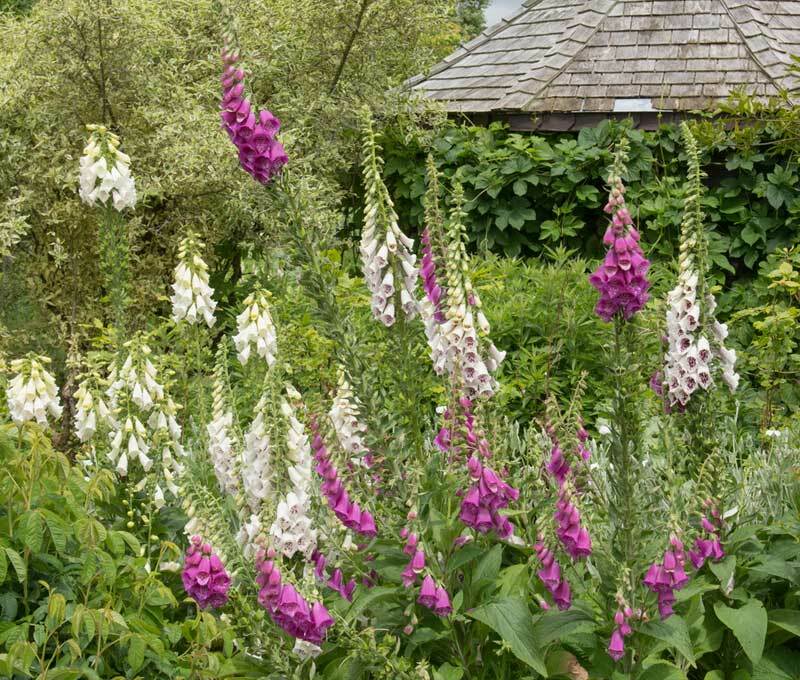 If cared for properly, the beautiful foxglove can grow to be six feet in height. In addition, this is a plant that reseeds itself, which is a great way to keep your garden dense with beautiful flowers. 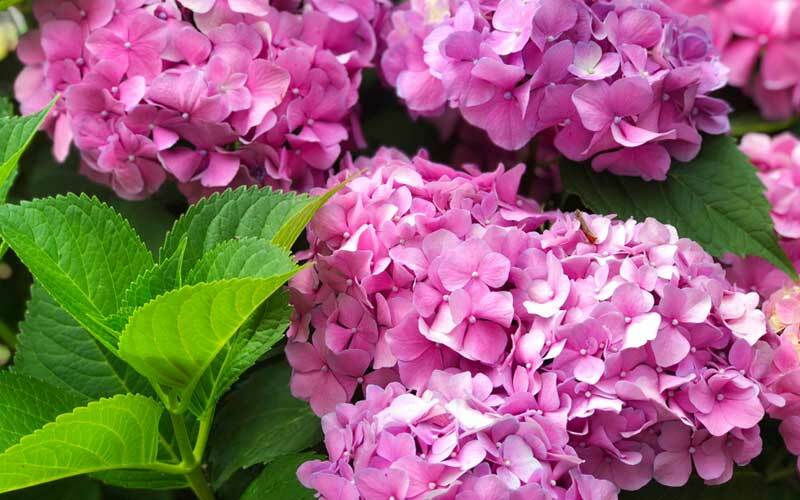 Your garden is going to need some shrubs as well, so you should consider hydrangea. It is a beautiful shrub that has large clusters of smaller flowers that can be a variety of colors including shades of pink, blue, purple, and white. This plant can grow to be six feet tall, so it will also add some height to your garden. Hydrangeas grow best in zones six through nine; they prefer partial sun and well-drained soil. This is one of my favorite plants because the blooms are so stunning to look at. They come in a wide variety of shades, but I adore the deep purple blooms the most. This is also a very fragrant flower, so it will be a welcome addition to any garden. 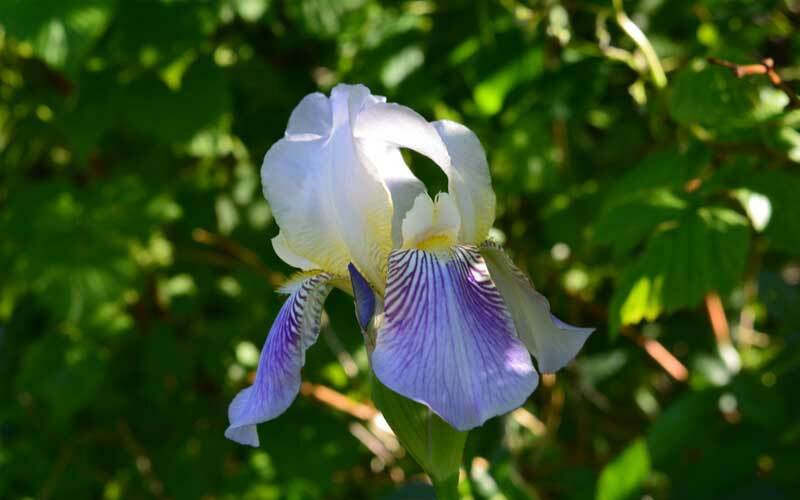 Growing best in zones four through nine, the iris can grow to a height of three feet. It grows best in full sun and well-drained soil. 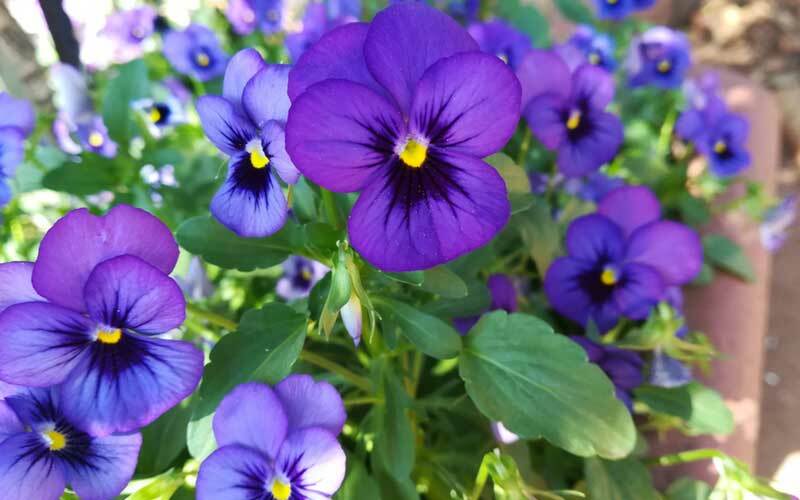 One of the edibles that is ideal for this type of garden is the violet. 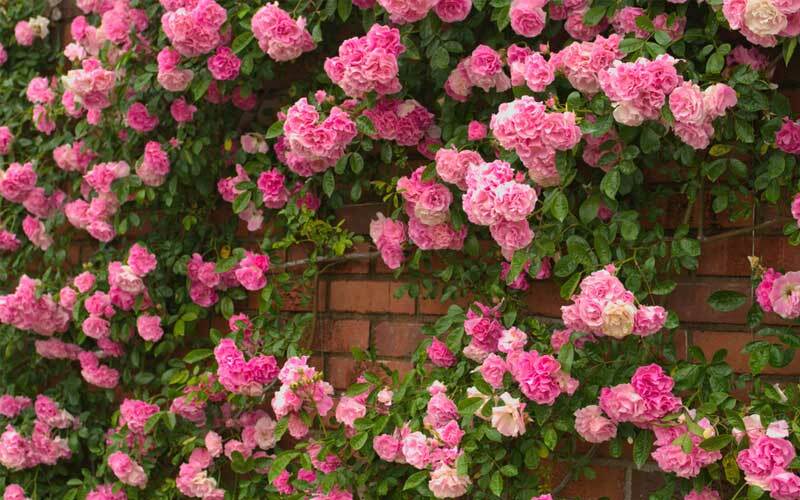 The blooms are quite charming, and they will also make your garden quite fragrant. This is a smaller plant that only grows to about a foot, but it is great for areas near walkways. Growing best in zones four through eight, this is a plant that can thrive in full to partial shade. It prefers well-drained soil as well. With the right care, this is a plant that will bloom in both the spring and the fall.